Senior Citizens are at risk for Vitamin D deficiency in the winter. While this essential nutrient comes from some foods, most of it is produced in the body. Exposing bare skin to Ultraviolet B rays triggers production. Shorter days in the winter lead to limited sun exposure. Also, long sleeves and coats block sunlight. When the sun is at a low angle, the atmosphere blocks more UVB rays. In New Jersey, you can only make Vitamin D from the sun between April and October. After that, the sun is too low in the sky to trigger production. Senior Citizens are at risk when they don’t have enough Vitamin D in their system. This micronutrient is essential for strong bones and muscles. Older Adults are already at high risk for bone density loss and muscle weakness. Low levels increase the risk of cardiovascular disease, cognitive impairments, and cancer. There are several factors that impact the risk of deficiency. 1. Skin Color – Melanin protects your skin against UVB rays. More melanin (dark skin) means your body produces less Vitamin D.
2.Advanced Age – Senior Citizens are prone to deficiency due to various risk factors, including dietary intake, skin thickness, and impaired intestinal absorption. 3.Dietary Choices – You can get this essential micro-nutrient from certain foods such as fish and dairy. 4. Latitude – Living far from the equator means little sun exposure in the winter. Many northern locations do not get enough UVB rays in the winter months. The signs and symptoms of a Vitamin D deficiency are subtle. Many people don’t realize they have a deficiency. Still, it can have a significant negative impact on quality of life. Here are some warning signs to watch for. Frequent Infections – The right nutrients help keep your immune system strong. If you get sick often, you may have a deficiency. Fatigue – Insufficient Vitamin D can lead to chronic tiredness and fatigue. Chronic Pain – Deficiency can be a contributing factor in bone, muscle, and lower back pain. Depression – Research shows a link between depression and Vitamin D deficiency in Senior Citizens. Hair Loss – Hair loss in women could be due to insufficient micro-nutrients. A medical doctor can help you know for sure if Vitamin D deficiency is causing your chronic fatigue and pain. Get your blood levels checked with a simple blood test. Next time you have a blood test, ask your doctor to also check Vitamin D levels. The blood test results will show how many nanomoles per liter (nmol/L) you have. Deficiency is less than 27.5 nmol/L. The low range is between 27.5 to 50. Whereas, 50 to 125 is adequate. High is between 125 to 400. Anything above 400 nmol/L is a cause for concern. In the winter months, your body may stop producing Vitamin D due to limited UVB rays. Senior Citizens can take supplements and eat foods rich in the nutrient. Natural food sources include milk, grains, and seafood like tuna. Try this easy and inexpensive recipe. 2. 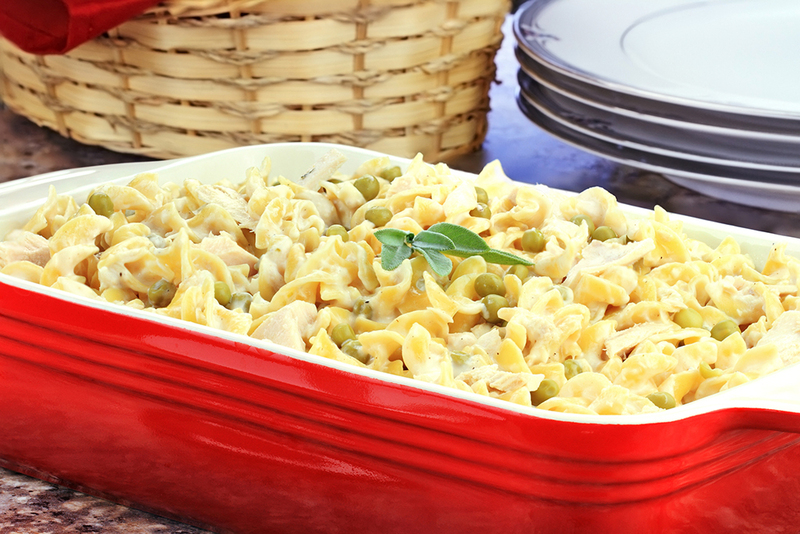 Mix tuna, soup, milk, peas, soup and noodles in a casserole dish. 3. Bake for 30 minutes or until hot. Stir. 4. Mix bread crumbs with butter in a bowl and sprinkle over tuna mixture. Bake for 5 minutes or until the bread crumbs are golden brown. An in-home Companion or Certified Homemaker-Home Health Aide can assist the Senior in your home to stay healthy through this winter season and all year long. Call us to help make a difference in their lives, as we are Families Helping Families 908-788-9390.